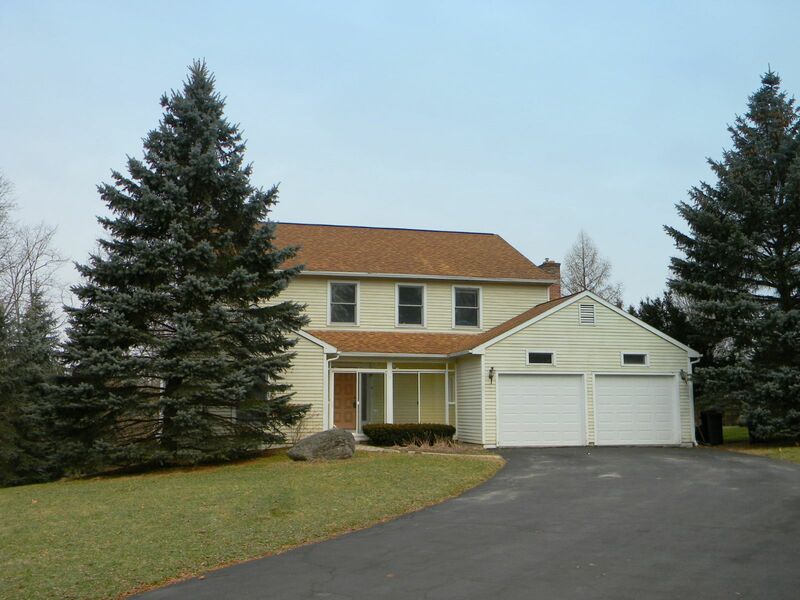 Great opportunity to own this 4 bedroom Colonial located in a private setting. The first floor features hardwood floors throughout, an open and inviting foyer with a turned staircase, a formal living and dining room, a beautiful sunroom, an eat-in kitchen, family room, half bath, and a laundry room. The second floor provides a large master bedroom, master bath, 3 other bedrooms, and a second full bath. The spacious finished walk-out basement offers a full bath and a 5th bedroom option or study. Centrally located to schools, shopping, and major highways. Call Bob McTague 315-882-6610!